I mentioned earlier this week that I'm always wholly unprepared for Valentine's Day despite any faux ramp-up, and this year is not unlike any other. I'm already saying to myself, "Yeah, I have about three weeks. Plenty of time to be ready for Valentine's Day this year!" Don't let my love for chalky little conversation hearts fool you. But, to get you in the craft mood, I'm pleased to offer another Valentine's Day DIY printable: a little gift package! Okay, so it's loosely based on a French fries box. But really, it's adorable and I promise your friends will be thrilled by your craftiness and it'll only take between five and 10 minutes to cut and assemble. thank you...need to work on that little good heart basket and these will be perfect! I love it, going to try it out this afternoon. Thanks so much for sharing! These are very cute! Thanks for sharing! i love how they look like french fry boxes! What kid won't love that!!! Thank you for sharing this. It is an adorable way to share a gift on Valentine Day! I just thought this was great! 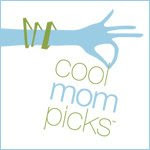 I have featured it on my 5 Great Finds @ Juggling Motherhood.